For years, Surfers Paradise has been synonymous with Australia's Gold Coast and half of all visitors to the Gold Coast head to Surfers Paradise. 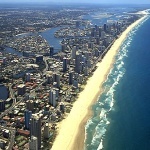 Over decades, visitors have flocked to the entertainment capital which was named Surfers Paradise in 1933 to reflect the beach and surf conditions that lured residents and holiday makers from the north and south for weekend retreats. While the attractions and physical landscape of Surfers Paradise have evolved, it still remains Queensland's entertainment capital that plays 24 hours a day, 7 days a week. Surfers Paradise is alive and surprising with a calendar of year-round events keeping tourists returning time after time. Internationally famous racing car drivers can been seen on the streets during the Lexmark Indy 300 while the heroes of the Tour de France race through Surfers Paradise during the International Cycling Grand Prix each December. There's something on every week in this glitter strip with everything from Beach Cinema to Australia's only night beachfront markets. The excitement doesn't end when the sun goes down. With more than 31 nightclubs bars and pubs open late each night and late night shopping seven days a week. For a romantic twist, view the lights of the Gold Coast from the top of the world's tallest residential tower, Q1 or soak up the night-time atmosphere with a horse-drawn carriage ride through Surfers Paradise. A major shopping and dining precinct, there's exclusive fashion labels - Louis Vuitton, Prada, Gucci, Bally and Escada, duty free shopping and the Surfers Paradise Beachfront Night Markets every Wednesday and Friday evenings (5.30pm to 10pm). Cuisine ranges from five-star formal to authentic Asian eateries with more than 150 food and beverage outlets. Flanking the iconic wall of high-rise buildings is Surfers Paradise Beach, twice voted one of the 'World's Best Beaches'. Enjoyed by millions each year, it was also awarded the title of 'Queensland's Cleanest Beach' in 2005. Surfers Paradise is vibrant and alive with bare chested bronzed Aussie surfers wandering down the main street, families frolicing in the surf and couples enjoying cappuccinos at alfresco cafes. Accommodation in Surfers Paradise is plentiful and varied with more than 79 accommodation venues including five star high-rise, hotels, guest houses, backpacker hostels and self-contained apartments. The Gold Coast Tourism Visitor Information Centre in Cavill Mall can help you squeeze maximum enjoyment from your visit. Location : 3 kms South of Surfers Paradise. Broadbeach is a leading dining, events and entertainment centre, with major shopping centres, Jupiters casino and the new convention centre based in this precinct. Broadbeach is still a gathering place for family and friends with it's array of sophisticated outdoor cafes, quality restaurants and value for money Broadbeach apartment accommodation. The nearby Pacific Fair is one of Australia's largest shopping centres with cinemas and eating areas. Broadbeach Mall is the focus for an exciting calendar of events - blues, opera, food festivals and fireworks. There's also major shopping centres including the Oasis. Holiday makers can explore hundreds of shopping outlets, take a monorail to Conrad Jupiters for restaurants and entertainment, or focus on the beach dominated by the Kurrawa Surf Club, site of the Australian surf life saving titles. Gold Coast Convention and Exhibition Centre is located here close to the highway and there's also cabaret shows in this area. The Lantern Markets are popular September to May and beach front markets are held at Kurrawa Park on the first and third Sunday of the month. Cascade Gardens is a favourite family picnic site in Broadbeach and there's great fitness circuits on the beachfront Kurrawa Park while Albert Park in Broadbeach Waters has a central lake with bike and walking tracks. Location : 21 kms South of Surfers Paradise. 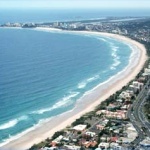 Coolangatta is at the southern end of the Gold Coast and lies close to the Queensland and New South Wales border. The Gold Coast Airport is based here and it is possible to fly to the southern area of the Great Barrier Reef and back from Gold Coast in a day. Coolangatta is in a great location to visit the North facing beaches of Greenmount and Rainbow Bay which are popular swimming and surfing beaches. There is also a scenic walk with wheelchair accessible paths around the connecting headland between Greenmount and Coolangatta. Beach anglers fish for bream, snapper or tailor, while for surfers Snapper Rocks and Flagstaff beach is renowned for its great surfing. The Twin Towns of Coolangatta and Tweed Heads are laid out on each side of the border. Coolangatta is the home of Queensland's first surf life saving club which was formed at Greenmount in 1909. Coolangatta offers loads of holiday activities including dive sites at Kirra and Cook Island to the south, dolphin watching from Point Danger or look out for the humpback whales migrating along the coastline. Shopping, dining and markets on the second Sunday of the month make Coolangatta an entertainment precinct. There are also plenty of events inclusing Wintersun in June which celebrates rock 'n' roll and A La Carte on the Beach which is a food feast in September. The Southern Points Promenade forms part of the Gold Coast Oceanway network with it's 36kms of walkways, bikeways and viewing platforms. Location : 3 kms North of Surfers Paradise. A leading dining precinct, Main Beach is ideally positioned between Surfers paradise to the South and north to The Spit, which is a six-star luxury accommodation and exclusive shopping precinct. Holiday makers can wander north through Federation Walk, a preserved area of coastal vegetation lining the beach and then look at the wave riders, kite surfers and families anjoying the beaches. From Main Beach you can cycle to the Southport Seaway and look at the boats entering and exiting the protected waterways of the Southport Broadwater or see outrigger canoeing and a range of fit, healthy Gold Coast residents taking to the waterways every weekend. Divers can explore the wreck of the Scottish Prince while an early morning walk on the Main Beach is a must do activity. Others head to the skies for a scenic flight and there is a wide range of boating, fishing and watersports activities from this area. Gold Coast's major themed attraction Sea World is located here and features the world's largest lagoon system for sharks at Shark Bay, polar bears and a range of marine exhibits. Alternatively your can view the luxurious vessels in the upmarket marinas, stay in six-star accommodation or catch a wide range of day cruises leaving from Main Beach. There is also day spas and fine restaurant dining located in and around Main Beach. Location : 11 kms South of Surfers Paradise. Burleigh Heads National Park offers a peaceful haven with rainforest and a peaceful walk through the park from Burleigh Heads during which you will see fringing mangroves, windswept tussocks or open forest. Hardy walkers can also climb to the top of Big Burleigh for a rewarding very over the Gold Coast, Pacific Ocean and wonderful beaches. 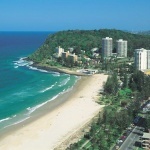 Burleigh Heads accommodation ranges from quality holiday apartments to discount hotels and motels. The wide expanse of Palm Beach lies to the south and the Burleigh foreshore offers a bird's eye view of the northern seascape. The Burleigh shopping centre is flanked by distinctive pines and pandanus palms. Burleigh barrels aren't wine casks, they are the fabulous south-easterly swell which rolls around the headland claiming the beach's position as a leading site for national surf events including the Quiksilver Pro. 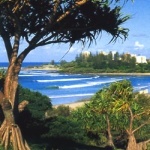 Have a picnic, eat at an outdoor cafe or visit the two surf clubs located at Burleigh Heads. You can also check out markets in Burleigh Heads on the last Sunday of the month. Location : 15 kms South of Surfers Paradise. Absolute beachfront access is a feature of the luxury, discount and self contained accommodation in Palm Beach. When you stay in Palm Beach you can go swimming at the beach, head to the life saving club or try your luck fishing. 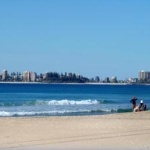 For the adventurous there are diving sites close by at Palm Beach and Kirra. 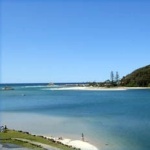 The Rockview public park offers views to Currumbin Alley and Currumbin Rock or you can walk the Oceanway trail to Tallebudgera Duneway which is a great place for rollerblading. Palm Beach has twice been voted the cleanest beach winner and there are regular markets and dining options available nearby. There are a high number of sporting clubs and interests in and around Palm Beach including Aussie rules, outrigging, golf, fishing and much more. 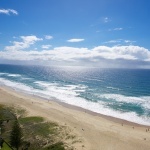 A stay in Palm Beach will complete your Gold Coast beach holiday experience. Location : 5 kms South of Surfers Paradise. Surfing is a major focus in Mermaid Beach with a life saving club and wheelchair accessible viewing platform located on the beachfront. The naming of this part of the Queensland Gold Coast comes from the cartographer Robert Stirling and colonial officer John Uniacke who landed their cutter the 'Mermaid' on this beautiful beach. Accommodation in Mermaid Beach ranges from luxury hotels and motels to fully self-contained family apartments. Mermaid is close to Broadbeach's shops and tourism attractions. Holiday makers can walk along Hedges Avenue close to the beach to view some of the most prestigious real estate on the Gold Coast. This is the place to have a sought after address with many high profile business people occupying these multi-million dollar mansions with direct beach frontage. Use Mermaid Beach as a base to explore everything that the Gold Coast has to offer including the neighbouring golf courses – at Robina, Carrara, shopping at Surfers Paradise and Broadbeach, fishing at Burleigh Heads or the Gold Coast theme parks of Dreamworld, Movie World, Sea World and Wet'n'Wild. Location : 9 kms South of Surfers Paradise. While the US Miami may have the headlines, Australia's Gold Coast Miami still has plenty of holiday magic. With a marvellous beach Miami is the perfect place from which to explore the entire Gold Coast from the shopping in nearby Broadbeach and nightlife entertainment in Surfers Paradise to the Gold Coast theme parks of Movie World, Sea World, Dream World and Wet and Wild. Visit the protected ceremonial bora ground on Sixth Avenue or head along to Mermaid to view one of the Gold Coast's most prestigious addresses. When strong links between the US and Australians Miami Beach is steeped in history dating back to before the Second World War. Miami Beach is home to Pizzey Park sporting complex and also features free barbecues along narrow parkland which runs alongside the magnificent beach. 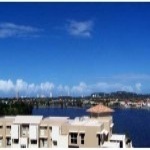 Location : 3 kms North West of Surfers Paradise. The Southport Broadwater dominates this area providing a superb naturally protected waterway which is used for boating, watersports, swimming and fishing. Tourists can wander along the walkways, go cycling or view the play of light on the water. Southport has developed a reputation as a holiday destination from the 1890s. Brisbane residents heard of an excellent fishing and seaside location. Head to Barney Street fishing platform for whiting, bream, trevally and flathead. 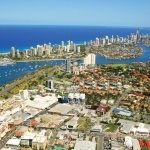 Southport and neighbouring Labrador have recently been the suburbs of renewed residential development on the Gold Coast. There's protected swimming pools, children's play areas and the Southport pool used by elite swimmers and divers for training. The Gold Coast sporting hall of fame is located at Owen Park and Broadwater Parklands which the kids will love. Southport is also an educational hub with a TAFE, Central Queensland University and nearby Griffith University in close suburbs. Major shopping centres and a mall offer busy precincts in Southport and the nearby parklands showgrounds is the home of the annual Gold Coast Show, produce markets on the second and fourth Saturday of the month, motor shows and other events. If you head over the bridge towards Main Beach you will find the Southport Yacht club where you can admire the sleek super-yachts and also visit the Australian championship winning Southport Life Saving Club. Location : 5 kms North West of Surfers Paradise. Accommodation in Labrador is many and varied and provides holiday makers with plenty of ways to take it easy. 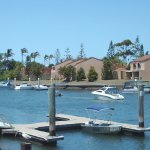 There's walking or swimming at the nearby Southport Broadwater which is a superb natural protected waterway or you can go cycling along some of the extensive bike paths that Gold Coast has to offer. Gold Coast City Council's fishing platforms are located at Labrador and their are many major landmarks still standing including the exclusive St Hilda's School, The Southport School and the Court House. There is a major shopping centre and shopping mall close by for those people staying in Labrador and the nearby Parklands showgrounds is home of the annual Gold Coast Show, produce markets on the second and fourth Saturday of the month, motor shows as well as other major Gold Coast events. Location : 6 kms North West of Surfers Paradise. Runaway Bay is primarily a waterfront suburb at the northern end of the Gold Coast and features many varied accommodation options that will suit the entire family. Runaway Bay is an angler's paradise with many great fishing spots, extensive boating and yacht facilities, skating, skiing and houseboat cruising. There's walking or swimming at the nearby waterfront and beaches at Runaway Bay, which are perfectly protected from the ocean by South Stradbroke Island. Holiday makers staying in Runaway Bay will also have easy access to the Surfers Paradise shops and restaurants, the Gold Coast theme parks and recreational activities such as boating, fishing or cycling along some of the many bike paths. The nearby Pine Ridge Conservation Park provides a small, virtually untouched park where visitors can escape the Gold Coast's busy lifestyle and enjoy the native wildflowers, watch the local wildlife or take a picnic in the relaxed surrounds of this Gold Coast park. Location : 7 kms South of Surfers Paradise. Surfing is a major focus in Nobby Beach Beach with a life saving club located on the beachfront. Accommodation in Nobby Beach ranges from luxury hotels and motels to fully self-contained family apartments. Nobby Beach is close to Broadbeach's shops and tourism attractions. Holiday makers can walk along the beach to view some of the most prestigious real estate on the Gold Coast. This is the place to have a sought after address with many high profile business people occupying these multi-million dollar mansions with direct beach frontage. Use Nobby Beach as a base to explore everything that the Gold Coast has to offer including the neighbouring golf courses – at Robina, Carrara, shopping at Surfers Paradise and Broadbeach, fishing at Burleigh Heads or the Gold Coast theme parks of Dreamworld, Movie World, Sea World and Wet'n'Wild. Location : 47 kms West of Surfers Paradise. The Tamborine district encompasses North Tamborine, Eagle Heights, Mount Tamborine. It has long been a favourite for romance and weddings with cosy hideaway accommodation, day spas and cabins. Tamborine will work its magic on you and find a place in your heart which will make you want to come back again and again. Only 30 minutes from the central Gold Coast beaches the Tamborine National Park is Queensland's first national park reserve. A wide variety of plants grow on the mountain as well as many native animals including the rare Albert's lyrebird, the world's largest skink and birdwing butterflies. Day travellers and holiday makers will enjoy a Picnic at The Knoll and Witches Falls, looking at the cycads at Zamia Grove or simply admiring the view from the many lookouts. Nature is only part of Tamborine Mountain's charm. There is the Gallery Walk which is a row of stores offering plenty of gift ideas, craft and art. There are always markets in the Tamborine area offering plenty of fresh produce as well as other regular events including the Springtime on the Market in late September, which is a floral festival with a rainbow of colours. Location : 45 kms North of Surfers Paradise. North Stradbroke Island offers holiday travellers an oasis of relaxing accommodation surrounded by nature. The Blue Lake national park is a freshwater lake of significance to the Quandamooka people and provides a scenic backdrop to some wonderful bush walks. Access to North Stradbroke Island is easy with regular ferry crossings on the fast water taxi from Cleveland, or a vehicular ferry from Cleveland or Redland Bay. Holiday makers can see nature up close and personal on North Stradbroke Island. Hand feed wild dolphins at a resort and even at times see humpback whales migrating and playing in the water from from late winter and spring. Migrating wading birds flock to Moreton between September and April, nesting turtles sometimes come ashore in summer. 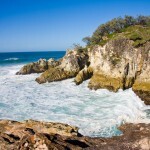 North Stradbroke Island provides breathtaking views across Morton Island and the Coral Sea. With a variety of enjoyable walks along the beach or the bush this truly is a place to get away from it all. Location : 19 kms South of Surfers Paradise. Tugun may be small, but it is still offers lots of fun for the entire family. Tugun and Tugun Hill are tucked away from mainstream traffic and so provide a peaceful accommodation destination with a wonderful stretch of pristine beach. A long time Gold Coast holiday favourite, Tugun has plenty to offer including the Currumbin Oceanway which begins at the Tugun Surf Club and is one of the great walks in south-east Queensland. Families and couples will enjoy the peaceful surroundings and combine that with the range of nearby amenities and that makes Tugun the ideal Gold Coast apartment accommodation for your next holiday. There is a range of accommodation in Tugun including budget hotels and discount serviced apartments. Nearby there are many fine restaurants and for the truly adventurous there is skydiving and aerial adventures from nearby Gold Coast Airport. Location : 11 kms South West of Surfers Paradise. Robina and neighbouring Varsity Lakes are Gold Coast's centres for education and high-tech communications. With Bond University, Australia's first private university, situated in this suburb and many other high-tech industries in and around Robina. There is also a major shopping centre in Robina which features 220 stores while Queensland Rail has direct links to this area. 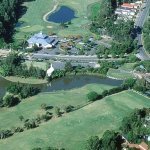 For tourists and visitors, there is plenty of choice with world class golf courses and the Robina Art Gallery located close by. Robina is only a short drive up the motorway to Mudgeeraba, site for regular markets and hot air balloon rides. Varsity Lakes and neighbouring Robina are Gold Coast's centres for education and high-tech communications. With Bond University, Australia's first private university, situated in this suburb and many other high-tech industries in and around the Varsity Lakes precinct. There is also a major shopping centre close to varsity Lakes which features 220 stores while Queensland Rail has direct links to this area. For tourists and visitors, there is plenty of choice with world class golf courses nearby and the many fine restaurants and cafes in which you can dine in comfort. 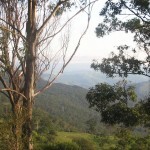 Varsity Lakes is only a short drive up the motorway to Mudgeeraba, site for regular markets and hot air balloon rides.